"What is a Revocable Trust and Do I Need One?” is a common question among families beginning estate planning. Professor Mary F. Radford frequently gives presentations on estate planning and guardianship and shares her insights with families in this video. Radford has been a Professor of Law at Georgia State University since 1984 and is a past-President and Fellow of the American College of Trust and Estate Counsel that specializes in Wills and Trust and Elder Law. 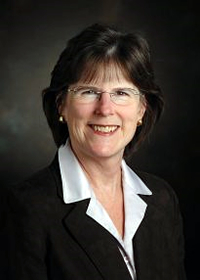 She is the author of Georgia Trusts & Trustees; Guardianships & Conservatorships in Georgia; the sixth and seventh editions of Redfearn: Wills & Administration in Georgia; and numerous law review articles. Hi everybody. Thanks a lot for coming today. My name is Mary Radford. 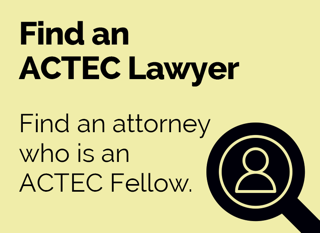 I'm a law professor in Atlanta at Georgia State University and I'm an Academic Fellow of the American College of Trust and Estate Counsel. And my topic for you today is Revocable Trust: Do you need one? Now see if this has happened to you... It happens to me a lot. You open your mail there's a beautiful invitation, glossy professionally done, and it invites you to dinner at a local restaurant... a good restaurant... no cafeteria food here. And the only thing that you have to pay for this free dinner is that you need to listen to a talk about your estate planning needs. So you say, what the heck you go ahead you go to this dinner. Now the presenter most likely is going to tell you that you can solve all your estate planning needs with one thing, a revocable trust. Now the presenter might call it a living trust, or the presenter might pronounce it revocable trust, it doesn't matter. Ok it's the same word. And the presenter tells you the great things this trust can do. It can avoid probate. Well that sounds good you're not quite sure exactly what that means, but that sounds good. It can cause you to have your estate plan remain private. It can avoid taxes. That might be a little bit more aggressive. It can avoid creditors. And then the most aggressive presenter is going to say it can get you to heaven or the afterlife of your choice. Ok I see you're not going to buy the last one. Got that... good, thank you. So, let's go through this concept of a revocable living trust and figure out if those are accurate representations and figure out if you do need one. So we’ll pull back just a second and look at a trust itself... what is the trust? It's not difficult, it's simply a way of holding property and it involves three players. Usually when I hold my own property I’m the only player, but if I decide to put my property in trust then the name that I take on is the settlor of the trust. Some people will call it a grantor some will call it a trustor, that's fine. Again no magic word. I'm going to call myself the settlor. And let's assume hypothetically that I have a million dollars in a stock portfolio. This is great. Okay, I want to worry about the management of that so I'm going to transfer the title to that stock portfolio to someone I'll call my trustee. Now, the trustee doesn't have to be a bank. I can use an individual and I'll choose to use my son. I have a son and a daughter, but my son's a little bit more responsible. So my son as trustee is going to manage my property for the benefit of my beneficiaries, and those are the third players in this property arrangement. Now who can be my beneficiaries? Basically anybody I want, but the way I'm going to set this trust up I will be a beneficiary. Kind of interesting. I'm going to be a beneficiary of my own property, but then when I die my children will also benefit from my property. So I'm the settlor, my son's the trustee, myself and my children are going to be the beneficiaries, and my son job is to read the instrument that I put together, the trust instrument, and manage the property... invest it... pay out dividends things like that. I might say give the income to me for life, give what's left over to my children. Ok, now trust come in a couple of varieties. A trust can be revocable, which means I can revoke it. It also means I can change it. So if I don't like how it's going during life I’ll just change it. That's one of the beauties of this revocable trust. Other trusts are irrevocable and there's some definite estate planning needs for irrevocable trust, but we won't talk about those today. Now my trust can also be set up while I'm alive and that's why it's called a living trust. Another kind of trust is called a testamentary trust, that’s one that set up in my will and again we'll save testamentary trust for another day. So remember our presenter has told me what I need is a revocable living trust. Now, what my presenter had in mind was that I would put all of my property into this trust, name a trustee, but here's something interesting, I can name myself as trustee, at least while I'm alive and have capacity. So I put my property in the trust, I name myself as trustee, I name myself as one of the beneficiaries, so during my life I'm distributing a lot of that trust property to myself and then upon my death the property is going to go to my children. Now an important thing that I should write into this trust, is that I will be the trustee as long as I'm alive and have capacity to do so. I'm going to circle back to that in just a minute because that can make a tremendous bit of difference. So let's go back to our presenter. Ok remember what our presenters say? First thing he told me was that I could avoid probate. Well I can, that's an accurate statement but who cares? Ok you care in some states, you care in some states because probate is expensive and it's time consuming. So what does that mean? When I die with a will my personal representative, my executor, has to take my will down to court, go through all sorts of notice to other people, go through all sorts of signing, perhaps pay huge fees, in order to be to be the representative who can then manage my property. With that trust that I was telling you about, that doesn’t have to happen. My son just takes over when I die, distributes the Trust property, there’s never a court brought into play. So again, in it in a state where probate is expensive and time-consuming, if you've already gone to an estate planner, that's probably what your estate planner has recommended as your major document. Ok so avoiding probate. Check. That's a good accurate description. Second thing, privacy. Remember the presenter said I could retain my privacy with this trust. And that's right too, because if I have a will and it goes down the probate court it gets filed and becomes public record, so anybody who wants to can come and check to see what I did with my property. If I have that trust on the other hand my son doesn't have to show it to anybody, so it is private. So check. That's going to work. Avoid taxes. No, don't let anybody sell you on that concept. The IRS's attitude is, I don't care what you call yourself you have control over that money. That's your property for tax purposes while you're alive and when you die. Ok so that was not a good representation. Avoiding creditors. Most states, no that is not going to work. That's not going to work even if you have for example a huge nursing home bill when you die. This trust is not going to be able to avoid the payment of that bill. So that's not an accurate representation. So if I'm in a state where probate is expensive and time consuming, and I need my privacy, and one other thing I should mention, if I owned property in lots of states... like I have a vacation home here, you notice how hypothetical all this is, and then I have my other home there, and my third home someplace else, that is a good use of the revocable trust, because again my son doesn't have to go to each state and probate my will, but instead my son just uses the trust to transfer the property. So far so good, but what about people like me? I live in the state of Georgia. Probate is quick and it's cheap. Why in the world would I want a revocable trust? Well there's another important use of a revocable trust, and it's a reason why most people might want to at least think about it. And that is that a revocable trust can be used to manage my property should I become incapacitated. Now if I don't have something in place like that a revocable trust, or maybe a power of attorney, then my son is going to cart me down to the probate court and show off how incapacitated I am, and have a guardian and a conservator appointed for me, and that's going to be traumatic. Even if I'm incapacitated, deep down I'm going to know what's going on. But in the trust my son doesn't have to do that, but it's very very important that trust say exactly who determines whether I'm incapacitated. A well drafted trust is going to say that. Maybe my son, maybe my son and daughter, maybe my son and my doctor and my daughter will determine I'm incapacitated. My trust document can say whatever I wanted to say. That's the beauty of it. So for example, I can say keep me home as long as possible. Keep me home. I don't want to go into a nursing home. Or I can say if I have to go into a nursing home I want to go into the most expensive one you can find. Okay, I want a great room, and I wanted 24-hour attendant, and I don't care how much it costs. Ok so my daughter can't complain, because I've written down that that's what I want. Okay I want nice clothes. I don't care if I'm in a nursing home I want to dress nicely. I love my grandchildren. I want them to be able to come visit me every year, pay for that. And perhaps most importantly, my little dog Fluffy, if she's still alive when I'm in the nursing home I want you to take care of her. So again the beauty of it is I can manage my incapacity in advance by telling my son exactly how to spend my money. Now one other word of advice, as you can see this is pretty complicated, don't do it on your own. 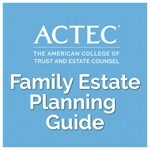 This is definitely a place where you want to go to an estate planning professional. Thank you very much.